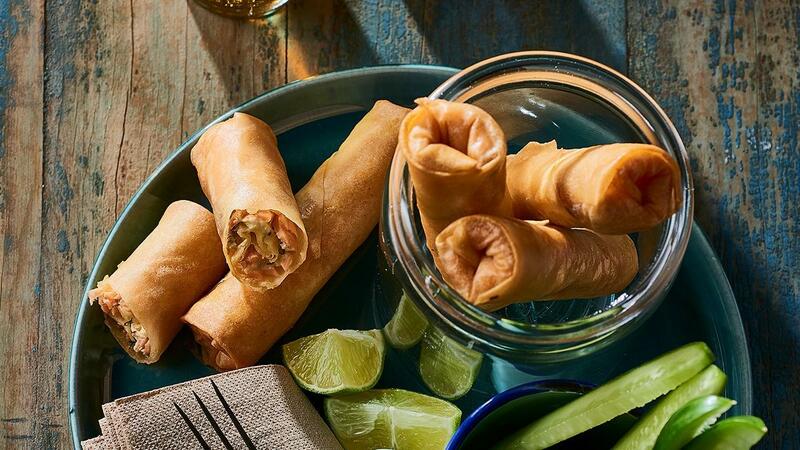 You can pretty much stick anything in spring rolls. Try filling them with a classic combo like smoked salmon and cream cheese, then fry like you are a fryer king! Combine cream cheese, COLMAN'S Wholegrain Mustard, KNORR Garde d'Or Hollandaise Sauce and dill. Beat eggs and separate spring roll wrappers. Lay the wrappers flat, brush with egg and place smoked salmon diagonally across the middle. Spread the cream cheese mixture on top. Fold the corners of each wrapper in then roll up to form a spring roll. Deep fry at 180 degree Celsius until golden. Drain and serve with lime wedges.